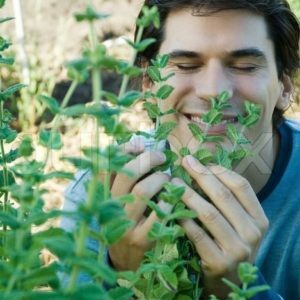 Smell the herbs along the way…and enjoy the herbs after with a nice foot bath, some herbal tea and great food enhanced with fresh or a fresh dried herb blend! Listening to the experts, just before a race is not a good time to try new foods and regiments, but we’ve got you covered for some well deserved self-care and celebrating after! You’ll love the names of our Tea Blends and categories and the aroma that’s obviously freshof our Culinary Blends. We have a new topical herb- Comfrey for sale, along with our Athletic Aromatic bags/foot bath. Runners pick up your own mini sachets of all three aromas! We’ll also be sampling and selling $1 cups to go of our Old Bones Tea blend and Gettin’ Up and Out Tonic (try it on ice after 10). We will have just a few fresh herbs for sale so we have more room for runner’s stuff, but you can come out and pick after the race…we’re right off the trail off Mullan Road. We’ll be open till 8 pm.